Here are four requests as Gov. Mark Dayton and state legislators consider how to proceed after the governor vetoed the K-12 bill. First, to aid planning, a special session should be called soon and final decisions need to be made quickly. Second, please recognize and retain a number of good things in the K-12 bill that the House and Senate produced. Third, there are two areas where modest additions could make a big difference. Finally, in adding funds, I hope leaders recognize the many needs of Minnesota students, families and taxpayers, including but not limited to good schools. 1. Please agree soon. Under state law, school districts must adopt budgets by July 1. This is a complex process that requires balancing many priorities and requests. Moreover, some districts may need to layoff faculty and staff. Having experienced such a layoff (due to low seniority, despite positive evaluations) I know how frustrating this can be. Educators and families need to make plans. Let’s finish this work soon. –A $287 million addition to the basic funding of schools. This produces a 1.5 percent and 2 percent increase in funding over the next two years. –Over $60 million for a flexible approach that gives families more preschool options. –$32 million for a new, more equitable facilities maintenance program to help districts across the state maintain and update their buildings. –$9.5 million to increase the number of districts that can participate in the alternative compensation (Q Comp) program. –$4 million to dual-credit programs offered in the high schools, helping more students earn college credit. The letter recognized that the 194-page bill has many other strengths. Our letter was signed by the directors and executive directors of the Minneapolis Foundation and advocacy groups, including African American Leadership Forum, Charter School Partners, Educators for Excellence, Education Evolving, Migizi Communications, Minnesota Business Partnership, MinnCAN, Parent Aware for School Readiness, and Put Students First Minnesota, along with the Center for School Change, where I work. Two other points, of many things, could be cited. First, the bill expands opportunities for ninth- and 10th-graders to take dual-credit courses, for high school and college credit, in their high schools if their high school and college educators believe they are ready for this work. Currently they can’t enroll in one form of dual-credit unless their participation is needed to make the class viable. Second, with encouragement from Education Minnesota, legislators adopted funds to help establish “full-service community schools.” Funds would help increase collaboration between schools and community groups to help more students succeed. 3. I hope that legislators will consider two additions: First, support for school-community collaborations that already have developed in urban, suburban and rural communities with help from, among other groups, the Growth and Justice research and advocacy group. Second, I’d urge policymakers to find modest startup funds for the “teacher-led” district schools that were proposed in a historic alliance by both union and business leaders. 4. Finally, please recognize the importance of maintaining a fund balance and other important needs, such as medical care, mental health, higher education, roads and bridges. Wise families and states retain money for emergencies and unexpected challenges. Additional funds for schools, spent wisely, can be helpful. 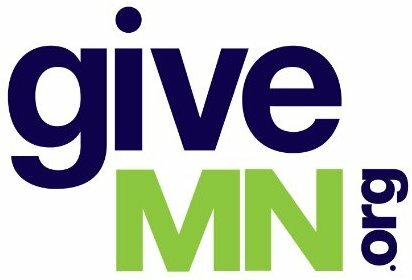 Please also consider University of Minnesota research (http://bit.ly/1R39Omy) on the long-term value of high-quality early childhood programs for children 3 years old through third grade that focus on students from low-income families. Students, families, schools and the state will be best served if these decisions are made soon, recognizing research, opportunities and the need to set priorities.